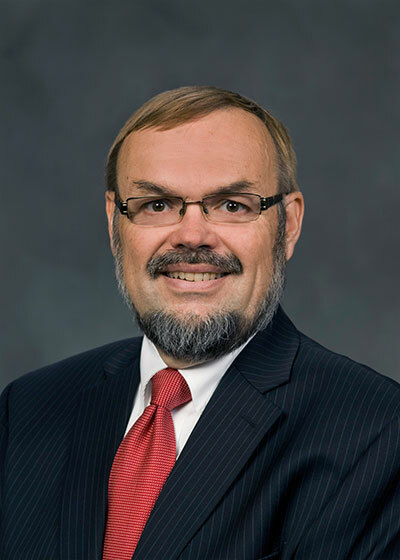 Sarvela was appointed acting chancellor on July 8, 2014, prior to his appointment as interim chancellor by the full Board of Trustees on July 24. Prior to his appointment, he served as the vice president for academic affairs of the Southern Illinois University system. Previous leadership positions included serving as dean of the College of Applied Sciences and Arts, chair of the Department of Health Care Professions, and director of the Center for Rural Health and Social Service Development at SIU Carbondale. He was a tenured professor of health care management, professor of health education and clinical professor of family and community medicine. His teaching interests focused on evaluation and measurement, needs assessment and strategic planning, and community health. Sarvela’s significant contributions during his 28 years of service to the university and system included developing, implementing and security accreditation for numerous academic programs; restructuring and growing the College of Applied Arts and Sciences; and increasing administrative effectiveness through changes in university policy. He served as interim chancellor until his death on Nov. 9, 2014.